REGISTRATION for the Summit includes 2 days of enlightening activities and opportunities for you to learn and network together. By registering for the entire Summit, you will be able to attend every event, including the Casino on the Green reception on Friday, Oct. 19th, up to 4 CLE’s, the Justice Never Sleeps Breakfast and the Empowerment Luncheon. A discounted room block for $119.00/night is available at the Hyatt Regency Atlanta Perimeter at Villa Christina. To reserve, visit www.empowermentga.com or call 678-515-2703 to make a reservation with the code Advocacy for Action. The room block closes on September 28th. Advocacy for Action, Inc. (AFA Non-Profit) and Advocacy for Action Fund (AFA PAC) were formed by a group of attorneys and bar associations concerned about the decreasing number of diverse judges in our courts. AFA Non Profit seeks to educate the public about the importance and impact of a diverse judiciary and provide strategies that communities and individuals can implement to achieve that goal. AFA Non Profit promotes greater involvement in legal and judicial affairs by advocacy in support of issues, legislation, groups and organizations that support adiverse judiciary. 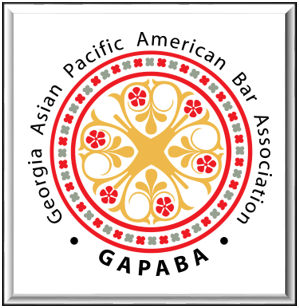 AFA PAC is dedicated to raising funds to support minority candidates running for judicial office across the State of Georgia.